Developers at Fun Infused Games spent the last ten years and billions of Earth dollars researching and testing the latest in UFO technology to bring Xbox gamers the single most realistic UFO flight simulator ever created. The tractor beam, turbo mechanism, and flash bombs have all been painstakingly created to exactly match their real world counterparts. The flight system is so realistic that many Alien testers couldn't tell they weren't piloting a real UFO. Story and Score Attack Modes! 5 Unique Story Mode Levels! Cows, chickens, aliens, and cheerleaders! More fun than a pointy stick! Abduction Action! was released April 2010 on Xbox Live Indie Games for the price of 80 Microsoft Points. 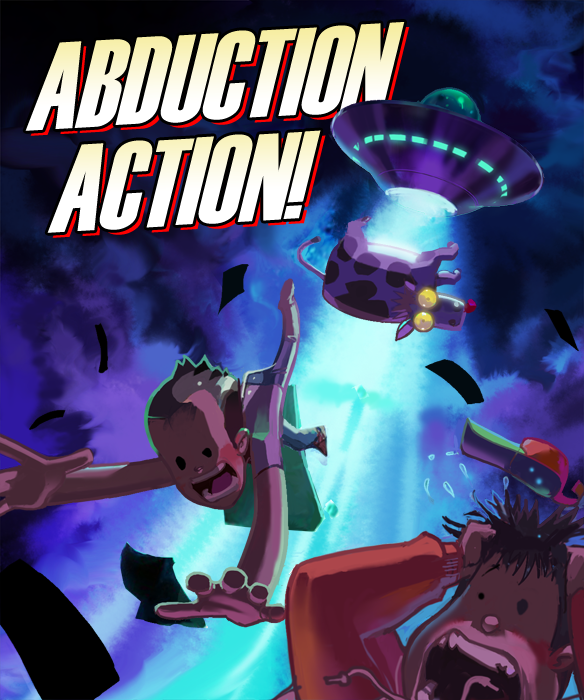 Click here to download Abduction Action! to your Xbox. Do you want to help promote Abduction Action!? Check out our Press Kit.